Fall is my favorite time of year, although on the island, "fall" is merely warm, rather than hot, and the palm trees continue to sway within the gulf coast breeze. While in most places fall brings gold, orange and bright red leaves; here on the island fall is a bit less dramatic. No matter how slight the changes, with the tepid temperatures, and days growing shorter, my soul begins to yearn to bake. I find myself craving pumpkin, spice, maple, and nuts. These delicate, light, an airy cookies satisfy my craving, and are as crisp, as the fall air. 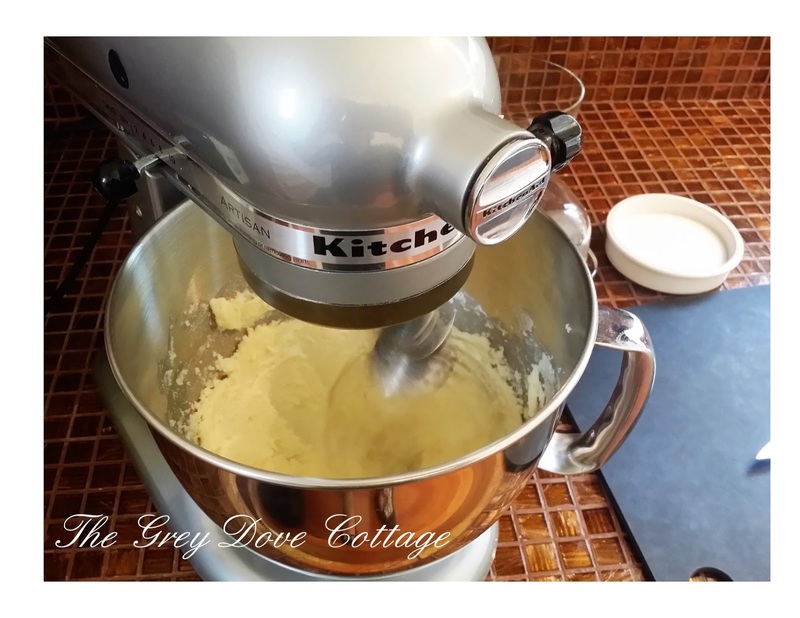 Cream butter in mixer on medium high speed, add sugar, and continue to whip approximately three minutes, until butter, sugar mixture is light and fluffy. 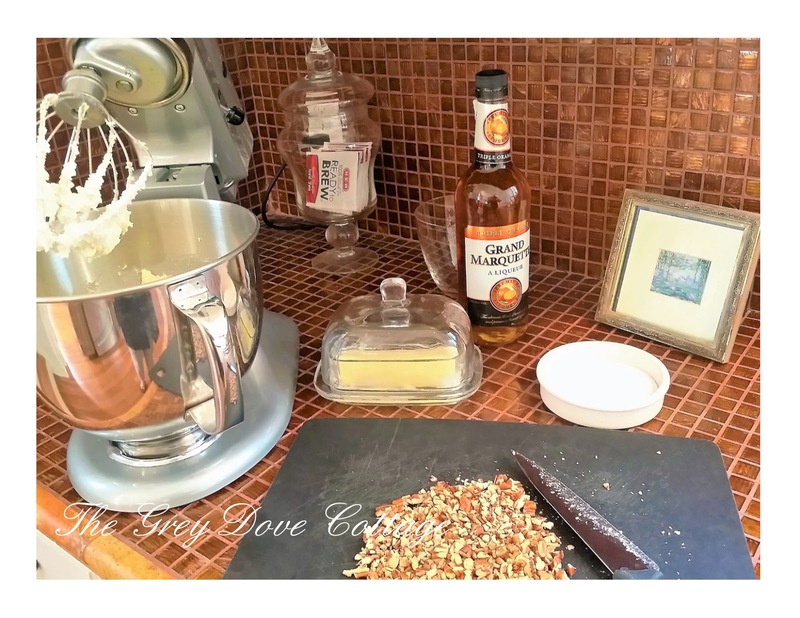 Add two teaspoons orange liqueur while continuing to whip. 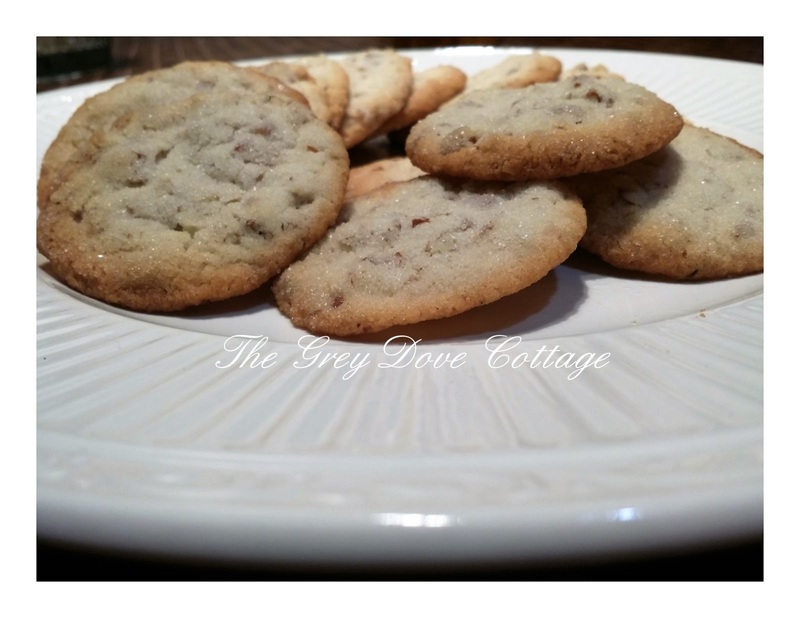 The orange flavor paired with pecan is what makes this cookies unique. 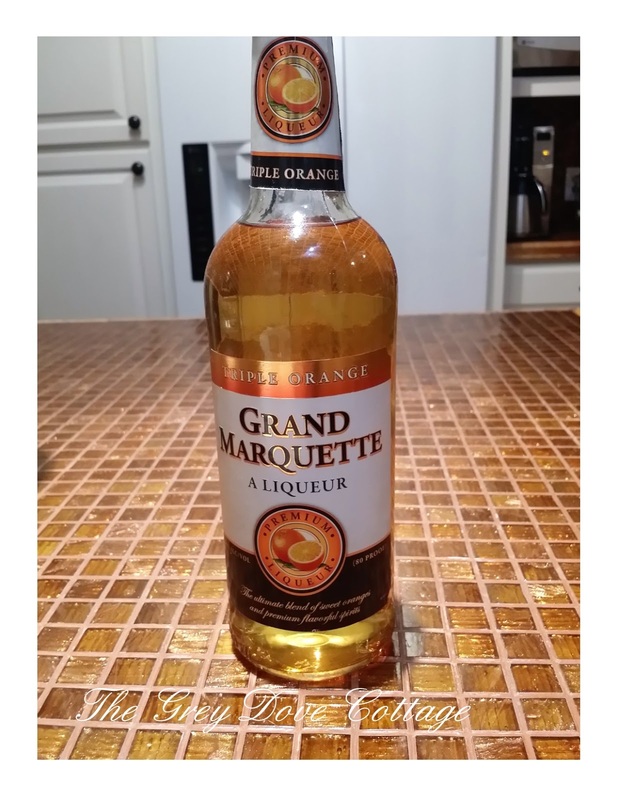 I use Grand Marquette, any orange liqueur will do. 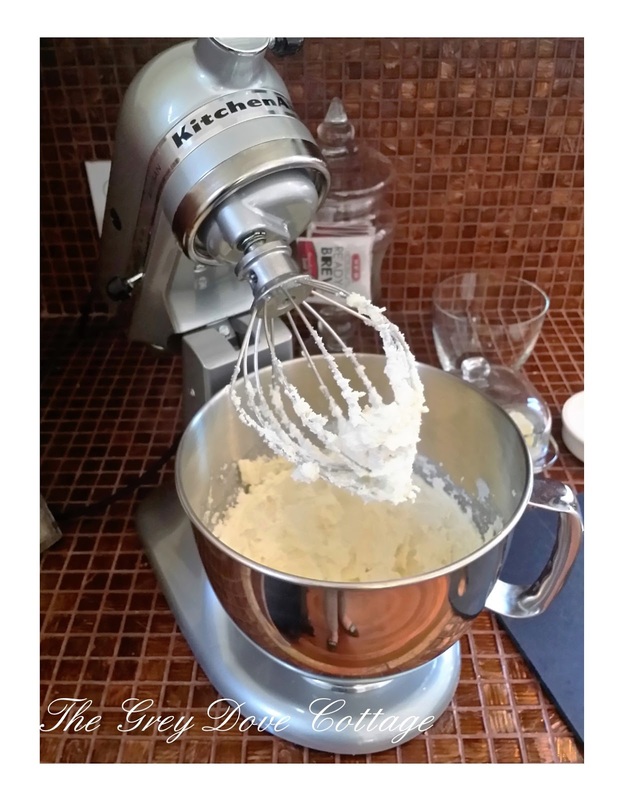 Add flour one teaspoon at a time while whipping, until soft dough comes together. Once dough forms, add 3/4 cups chopped pecans. 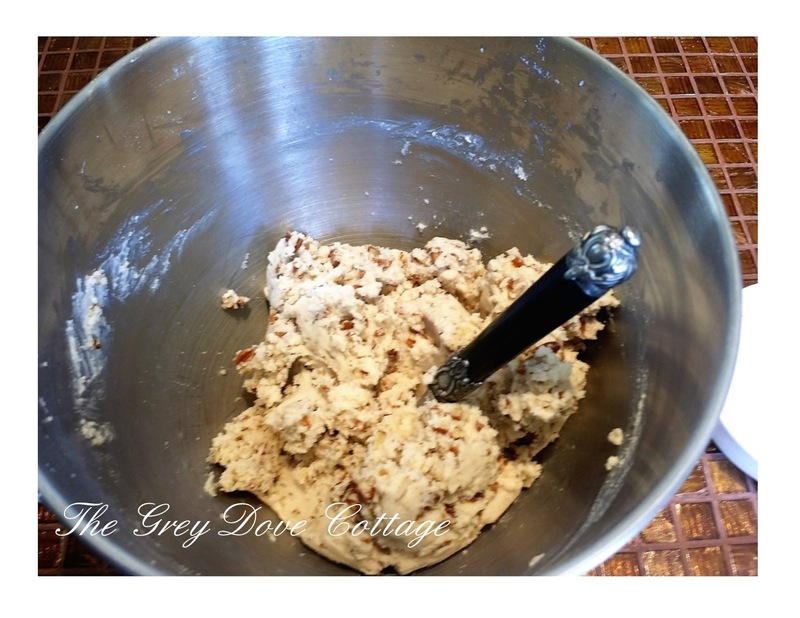 Mix pecans into dough using a spoon, continue to mix until well incorporated. Scoop a teaspoon of dough, place it in the palm of your hand, roll dough with your other hand, between your palms into a ball. 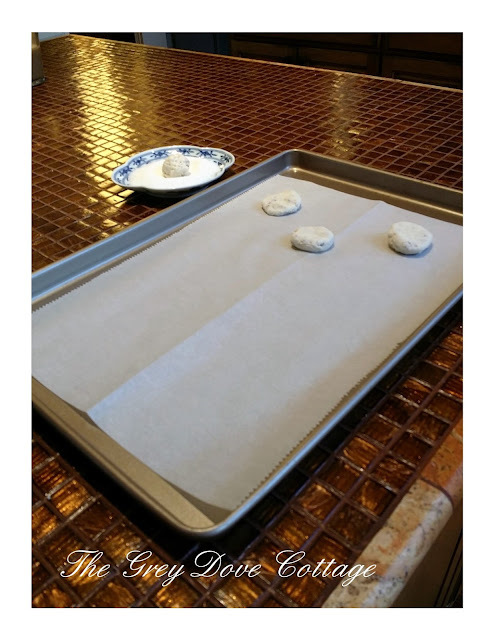 Once ball is formed, roll it in sugar, coating well. Arrange sugar coated balls on to parchment lined baking sheet, leaving two inches between each cookie. Press the top of each ball flattening each to approximately 1/4" thickness. 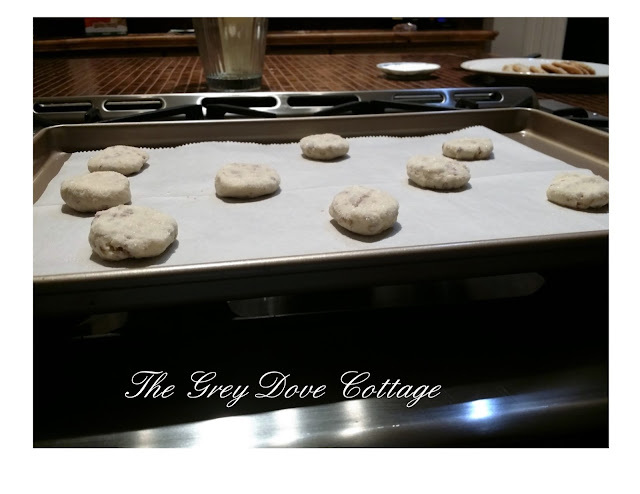 Bake at 350 degrees for 8 - 9 minutes, until the edges are light golden brown. The orange, pecan pairing a happy mistake. 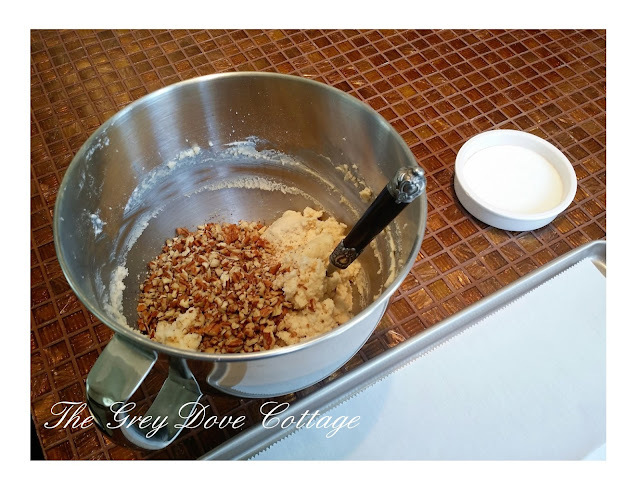 Last fall, as I began to bake I discovered we were out of vanilla bean. In a panic, I searched the kitchen for flavoring, ultimately checking the liquor cabinet. The only liqueur in stock at The Grey Dove Cottage; Grand Marquette. 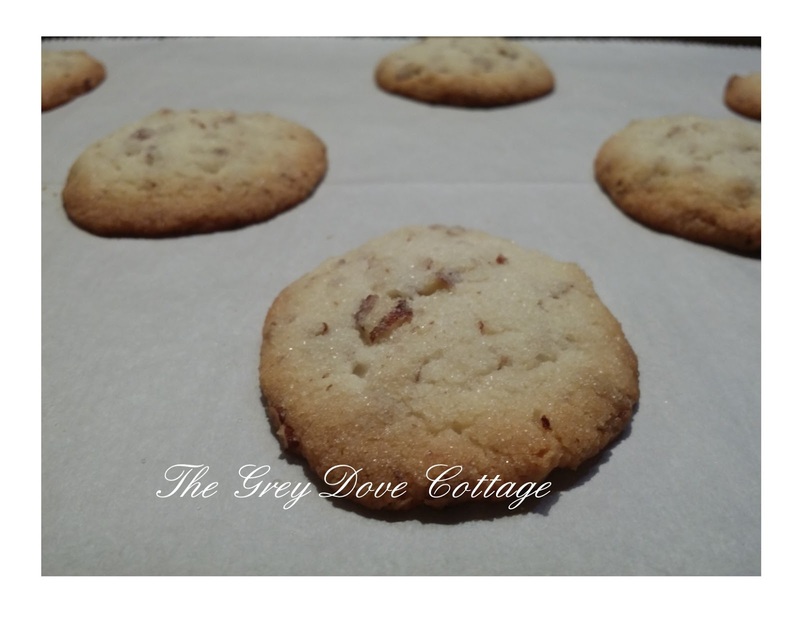 With that, these pecan cookies were born. 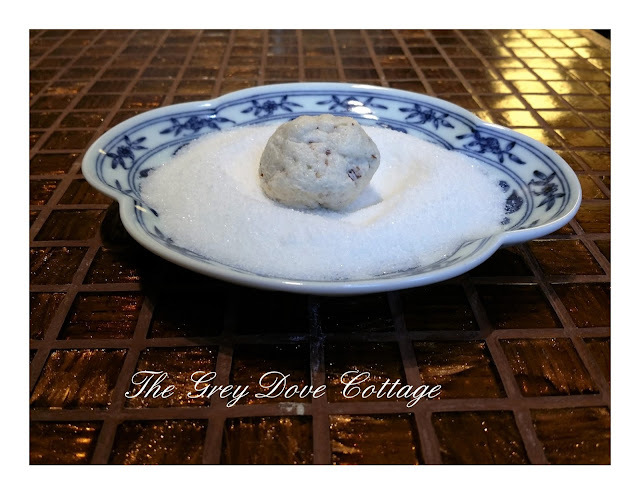 A delicate, shortbread style cookie, crisp upon the lightly browned edges ,with an airy center texture. A new fall favorite in our home.